Commemoration: Harold Holt’s great granddaughter Zara Holt, his son Sam, Russell Joseph and Greg Hunt during Sunday’s wreath-laying ceremony at Cheviot Beach, Point Nepean. Picture: Supplied. ALTHOUGH it was 50 years ago, many Australians can recall where they were when they heard that Australia had “lost” its 17th prime minister, Harold Holt. The news reverberated around the world, not necessarily because Mr Holt was known as a world leader, but because of the circumstances of his death: disappearing into the surf off a secluded beach within the restricted confines of the Portsea Officer Cadet School, at Point Nepean. Although his body was never found, the prime minister was presumed drowned and to most people it is memories of a leader who went missing rather than his political achievements that linger. It took until 2005 for a coroner to officially assign the cause of is death to accidental drowning. In the lead up to last Sunday’s memorial service to commemorate Mr Holt’s death, federal MPs spoke warmly about Mr Holt, both in his roles as a minister and prime minister, a position he held for less than two years. “He oversaw the dismantling of the White Australia policy, throwing open our doors to people from all corners of the world and sowing the seeds for the successful multicultural society is today – the most successful multicultural society in the world,” Prime Minister Malcolm Turnbull told Parliament. Mr Holt had championed a “yes” vote in the 1967 referendum that saw Aboriginals being included in the national census. He had also been in office when Australia adopted decimal currency and “reintroduced” Australia “to our [Asian] region”. Opposition Leader Bill Shorten said Mr Holt’s public life “is perhaps unfairly remembered more for its tragic end rather than its worthy achievements”. Mr Holt had been “a breath of fresh air” in making himself available to the media with one of his “prepared remarks” being “All the way withy LBJ” – a reference to the then US President Lyndon Johnson – which “became shorthand for Australia’s plunge into the jungledark of the Vietnam War”. The ready access Mr Holt gave the media also led to his often being photographed in his wetsuit with a spear gun or, most famously, surrounded by bikini-clad young women on the beach at Portsea. The image makers did their job well and the pictures helped portray an outdoor-loving, almost larrikin adventurous leader. Perhaps overlooked at the time, the day of Mr Holt’s death also saw the arrival of round-the-world solo sailor Alec Rose, later Sir Alec. Mr Holt had gone to Point Nepean with his “secret lover” and neighbour Marjorie Gillespie to watch Rose sail his boat Lively Lady into Port Phillip. Also along for the day were Martin Simpson and Alan Stewart, friends of Mrs Gillespie’s daughter, Vyner,. “Several boats were out to greet me [at The Heads] and one – a television launch – came alongside for pictures,” Rose later recalled in his book My Lively Lady. “I was warned of the dangerous currents and eddies of the narrow channel through The Heads – but I passed through safely, feeling the swirl as I did so. 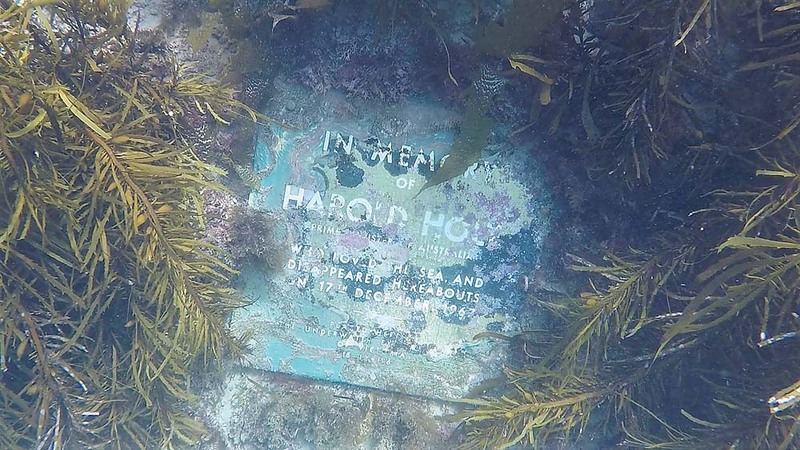 On Sunday, Flinders MP Greg Hunt announced the $50,000 to “upgrade the Harold Holt memorial and lookout at Cheviot Beach, saying the former prime minister “deserved to be known for more than just his disappearance”. 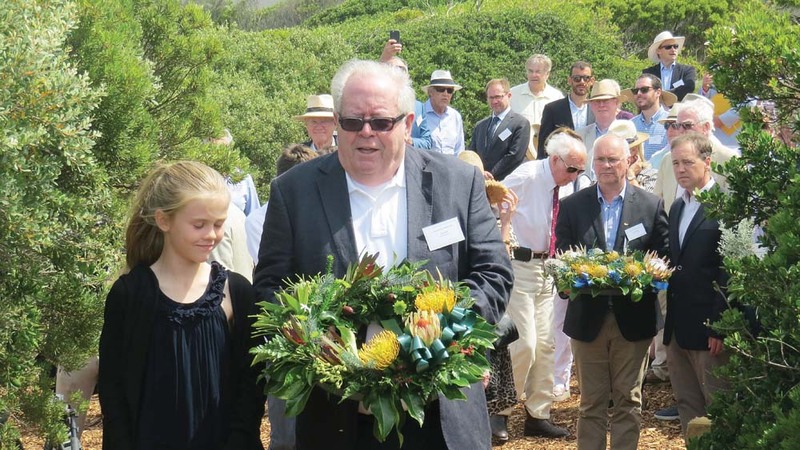 “Prime Minister Holt is an incredibly important part of not just the Peninsula’s history, but our shared Australian story,” Mr Hunt told the 70 or so family, friends and invited guests attending the memorial service held near Fort Nepean because there was not enough room near Cheviot Beach itself. “As one of the founding members of the Liberal Party, Prime Minister Holt had a decorated parliamentary career, playing a vital role in dismantling the White Australia Policy, overseeing major reforms to Australian banking system, was the Minister responsible for the establishment of the Reserve Bank, introduced decimal currency and played a key role in the 1967 referendum that ensured full-blood Aborigines could now be counted in the national census,” Mr Hunt said. Mr Hunt said Nepean Historical Society would hold the $50,000 “in trust” for a memorial, with the final design being agreed on by the Holt family, the Harold Holt Memorial Committee and Parks Victoria. Liberal Party candidate for Nepean and one of the organisers of Sunday’s service Russell Joseph said it was “fitting here [to] remember Mr Holt as a progressive and dynamic Liberal leader who, among other achievements presided over the 1967 referendum giving recognition to Aboriginal Australians, building a significant bridge towards reconciliation”. “The Indigenous story at this place is both beautiful and tragic as it was from here that Bunurong women were kidnapped and taken by sealers working these waters of Bass Strait. The sense of loss for their community remains significant today and has had a lasting impact upon them,” he said. The weeks preceding the service were also somewhat when all three levels of government – federal, state and municipal – refused to pay towards the memorial service, which was only saved when the Victorian Liberal Party offered to pay (“No backers for Holt anniversary service” The News 16/10/17). 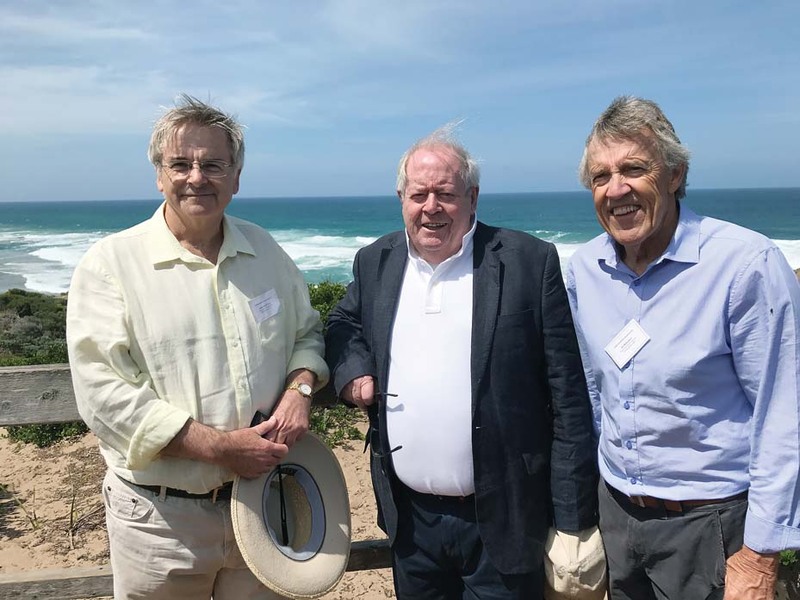 The federal government has now promised a more fitting memorial than the stone cairn and plaque in the sand dunes overlooking Cheviot Beach and the plaque fastened by divers to the reef off the beach.